Stylish, modern, and comfortable accommodations await you right in the heart of the metropolis of Cebu, only at Prestigio Hotel Apartments. Whether you are traveling to the city for business, a holiday, or to look for a temporary home, you will sure... Stylish, modern, and comfortable accommodations await you right in the heart of the metropolis of Cebu, only at Prestigio Hotel Apartments. Whether you are traveling to the city for business, a holiday, or to look for a temporary home, you will surely find the perfect accommodation that will suit your needs at Prestigio Hotel Apartments. With a convenient location accessible to many, everything that the city has to offer—from tourist attractions and shopping complexes to business parks—are all just minutes away by foot. Prestigio Hotel Apartment features a 24-hour front desk and a 24-hour business center. They also have concierge services that ensure that all your needs and concerns are addressed properly and timely. Designated smoking areas have been placed around the property, and free WiFi is available all over for guests who wish to go online. This cozy aparthotel has spacious and air conditioned rooms equipped with practical amenities like refrigerators, minibars, and coffee and tea makers. 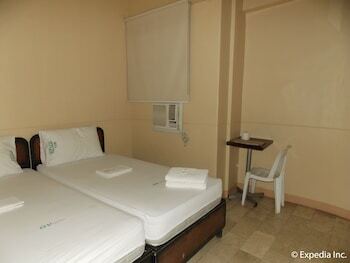 Each room also has a LED TV with cable channels and private bathrooms complete with showers and free toiletries. Prestigio Hotel Apartment is right along Gorordo Avenue, about 15 kilometers away from the Mactan – Cebu International Airport. Business districts like the Cebu I.T. Park is about 1.5 kilometers away, while tourist spots such as the historic Magellan's Cross and the Basilica del Santo Niño are about 4 kilometers away from the aparthotel.